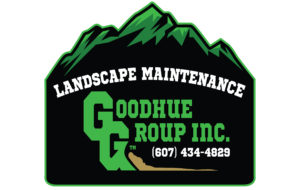 Contact Us | Goodhue Group Inc.
We are looking for employees who are energetic, hardworking and professional to join our team. If you have experience operating wheel loaders or skidsteers and would like part time work, please give us a call. What kind of equipment is needed/used? What kind of de-iceing agents are used? What is the trigger amount for service? What time is the service provided? Payment forms - Cash/Check/Credit Card? Cost per hour? per push? per snow event? Per Event Pricing – Snow plowing services are performed and charged at a specific rate for any given snowfall event within a 24 hour period. This works best for locations with limited operating hours, such as industrial or corporate sites. Sites are not concerned with access 24/7 and can wait until the completion of a snow event. Per Push Pricing – Snow plowing services are performed and charged for an agreed upon price for a specific amount of snow on the ground at the time of service. This works well for high traffic areas such as retail plazas/stores, banking and gas stations. Seasonal Pricing – Snow plowing services are performed and charged for an entire season, typically October-March. This may include a snowfall ‘cap’ before reverting to another pricing structure. Typically, the cost of the annual service is paid on a monthly basis. This pricing structure is offered to customers willing to commit to a 3-5 year contract. Copyright © 2019 Goodhue Group Inc. All rights reserved.